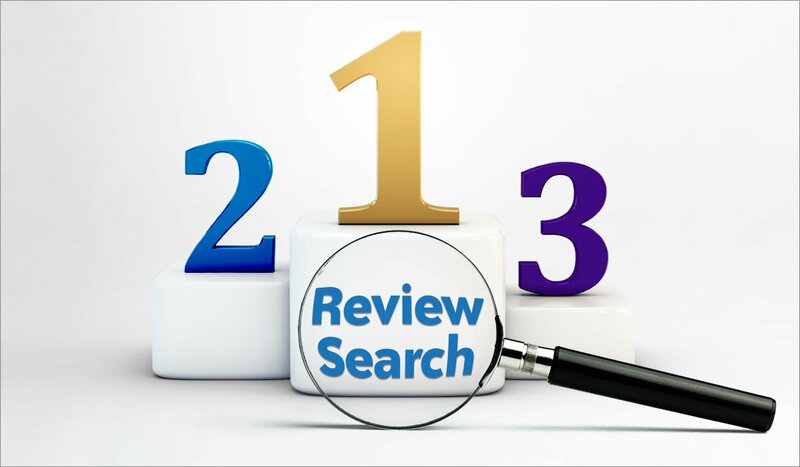 Are you in control of [your name] + reviews searches? Your profile on RPR creates a competitive advantage on [doctor name] + review searches. [Your name] + reviews is one of the most important, if not the most important search for you online. This search by people who know your name and are looking for your ratings doesn’t default automatically to your practice website. It must be earned with fresh, authentic ratings and review content. 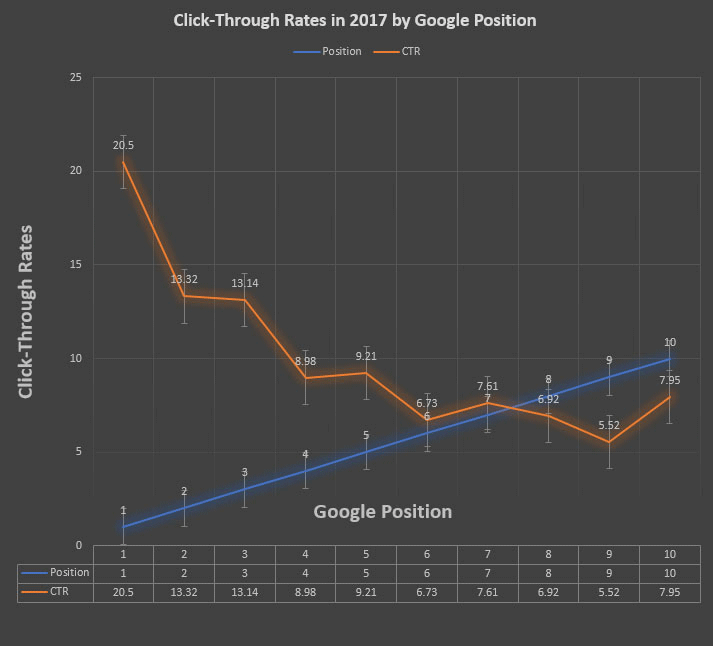 In a recent study of our own members, we found that 98% of participating practices had gained a search result in one of the top 3 positions for this key [Your name] + reviews search. Many consumer review sites compete for this term and out rank your practice site in order to harvest clicks from people who are looking for your ratings. In 2017, one study found that the sites ranked in the top 3 positions for a search receive a combined 45.96% of the search traffic for the search term – and each ranking position after third received only single digit slivers of the possible traffic. By helping you to position your verified reviews in the top 3 positions for this search, Vizium is helping you expose almost half your new prospects to your best and most trusted review content. This gives you a competitive advantage while pushing less trusted review sites further down the page. Wouldn’t it be great if a trusted website ranked for these searches, using review content from your real patients, to create a competitive advantage for your practice? We think so too! *RPR Study Methodology Addendum: Our recent study of RPR members looked at a selection of our members with the fewest reviews, to see how they fared when trying to expose new prospects to RPR review information. We selected a dataset large enough to be 90% certain that the results apply to all RPR members. 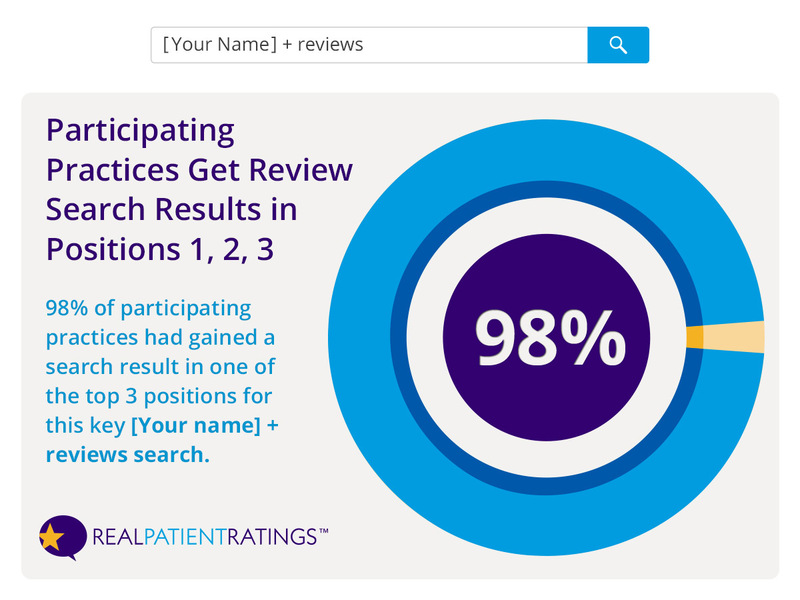 We found that 98% of these low-review count practices had their RPR profile rank in the top 3 positions for the search [practice name] + reviews.